So many business and homeowners desire to light their property at night. But many conventional light sources create a harsh glare that isn’t conducive to ambiance or curb appeal. An outdoor lighting method called moonlighting, has been rapidly gaining popularity. Here we review the many benefits of moonlighting your landscape. Moonlighting your landscape involves soft lights carefully placed very high in trees or structures about your property that mimic the gentle silvery glow of moonlight. This technique is less commonly used because it requires more effort and skill to pull it off successfully. The effort is well worth it because homeowners and commercial property owners quickly fall in love with the results. Individuals who revel in midnight swims, throwing late night parties in their outdoor entertainment space, or require lighting for safety, are particularly fond of moonlighting. 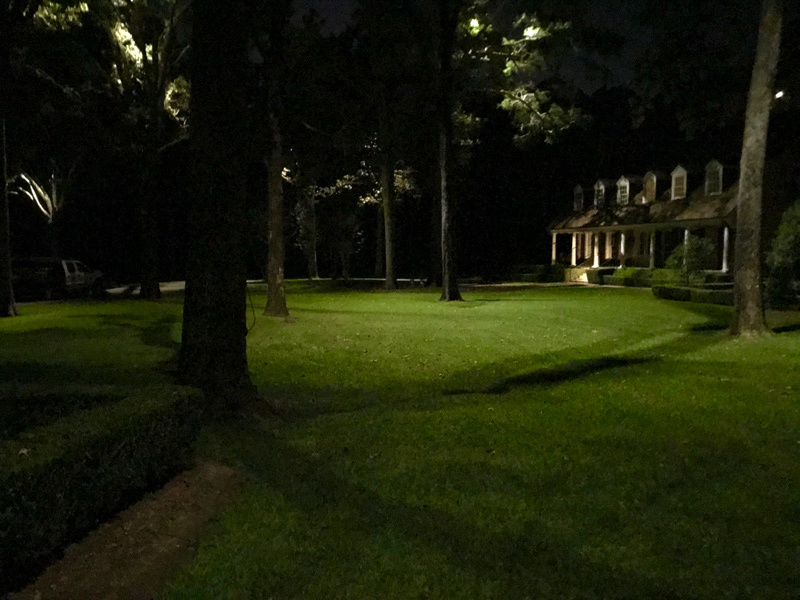 There are many benefits of using a moonlighting technique to illuminate your landscape. 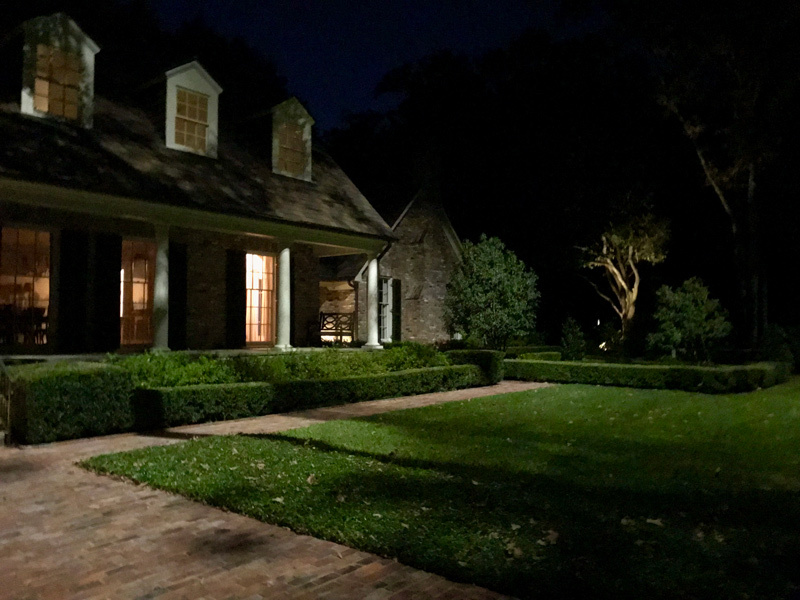 Bradley Martin, Owner and Operator of Lighthouse Outdoor Lighting of Jackson MS, and an expert in the field of moonlighting, suggests this type of lighting for most of his residential and commercial clients because of its versatility. Just like the moon shines down on your property all night long, you can utilize this moonlighting technique to illuminate your yard throughout the night. The softer glow of the lights won’t be a severe irritant to you or your neighbors the way other lighting sources can. If you leave your moonlighting on all night, you won’t have to worry about annoying home security lights disrupting neighboring properties. Moonlighting creates a space that is safe to navigate while discouraging unwanted intruders from trespassing. “If you have a two-acre property and you look out of your window at night, all you will see is darkness. 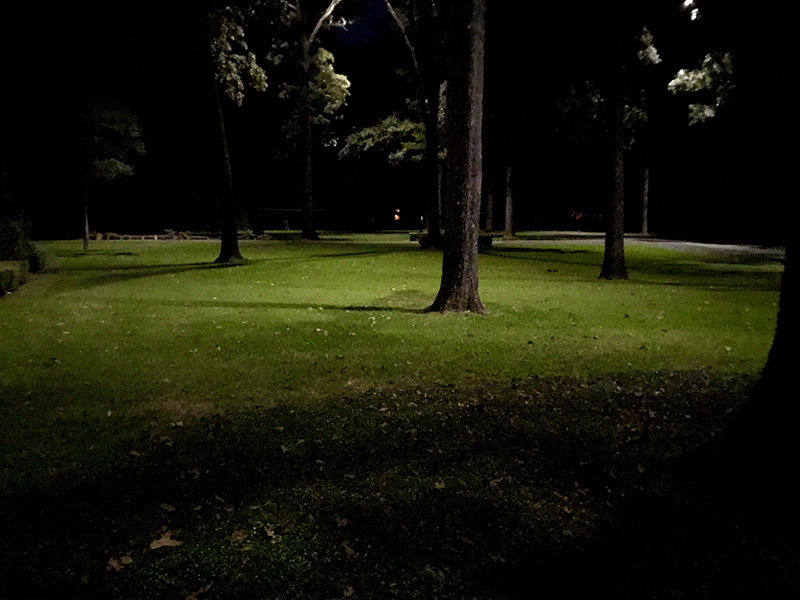 Utilizing moonlighting in your landscape lighting will fill the foreground with a soft glow and give you the visibility you need.”, says Bradley Martin. Moonlighting your landscaping makes use of down lighting, which not only provides a good source of illumination for late night walks on footpaths, but also turns your yard into a work of art. While many people originally decide to use moonlighting to brighten their patio, swimming pool, or entrance, many are so enchanted by the effect that they ultimately choose to use this beneficial lighting technique throughout their entire space. According to Bradley, “A cleverly composed moonlighting design will create some truly amazing shadows or utilize a dappled effect across the property to generate intrigue. Using these techniques will enhance the beauty of any residential or commercial property and welcome guests with a wow factor”. Whether you are looking for romance, already have it in your life, or just like the sentiment – you can have it all. Restaurants, hotels, and parks are just a few types of commercial properties that have been taking advantage of the romantic glow of moonlighting to better serve their guests. In residential landscapes this dreamy lighting is perfect for outdoor seating areas, poolscapes, and gardens. Even on cloudy nights, the moonlighting effect turns your space into an illuminated paradise with the artistry of light. The sooner you arrange to add artificial moonlight to your property, the sooner you’ll enjoy all the benefits of moonlighting. You’ll quickly fall in love with your outdoor space all over again. The best way to obtain this effect is by contacting your local Lighthouse Outdoor Lighting Designer. 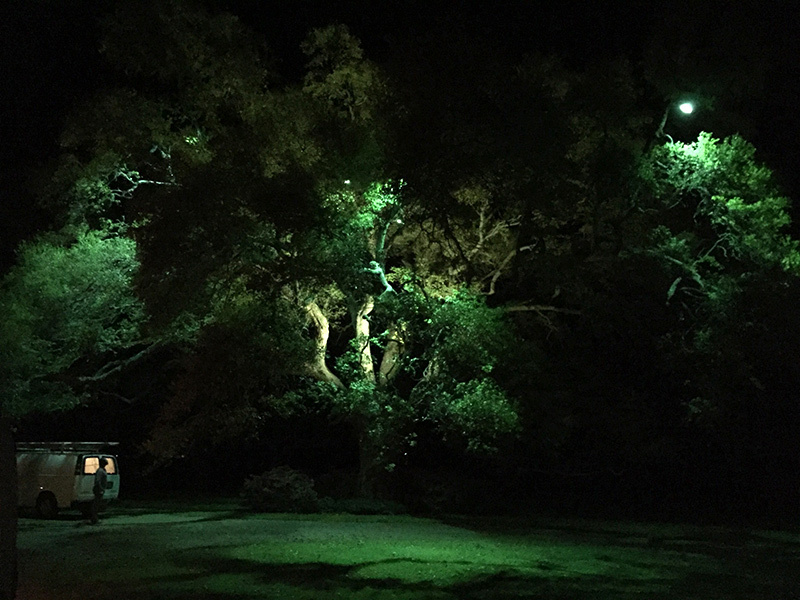 The Lighthouse Outdoor Lighting team of highly trained landscape lighting professionals will explore your property and turn it into a nighttime paradise. You can reach a Lighthouse Outdoor Lighting expert near you through our website, social media pages or by calling 800-737-4068.